The feats of the hero Mwindo are here glorified in the bilingual text of an epic which was sung and narrated in a Bantu language and acted out by a member of the Nyanga tribe in the remote forest regions of eastern Zaire. 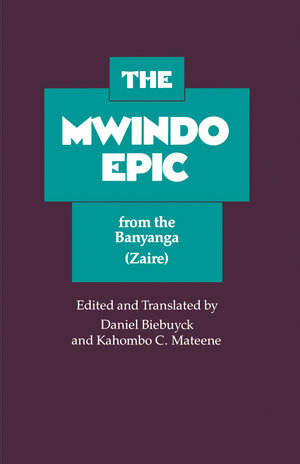 Admirably structured, coherent, and richly poetic, the epic is in prose form, interspersed with song and proverbs in verse. An example of the classic tradition of oral folk literature, the tale has important implications for the comparative study of African culture, as the text provides profound insights into the social structure, value system, linguistics, and cosmology of this African people.